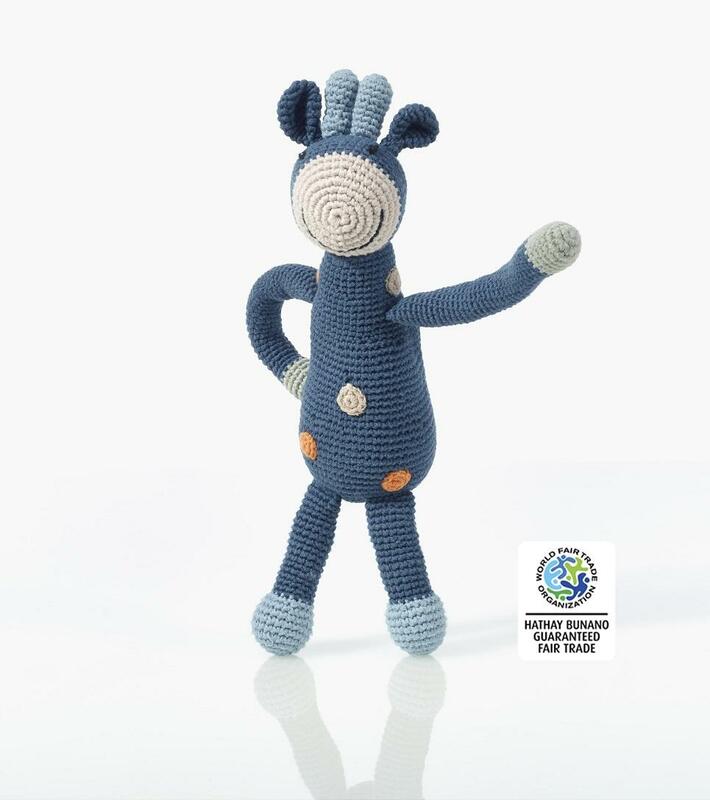 This gorgeous organic cotton petrol blue giraffe toy has a twinkle in his eye and a cheerful smile. His long limbs are easy for baby to grasp onto and his stops are striking and stimulating for your baby. He is an ideal companion for your baby or toddler.